Tomasz Janczuk and Steve Sanderson are having entirely too much fun. 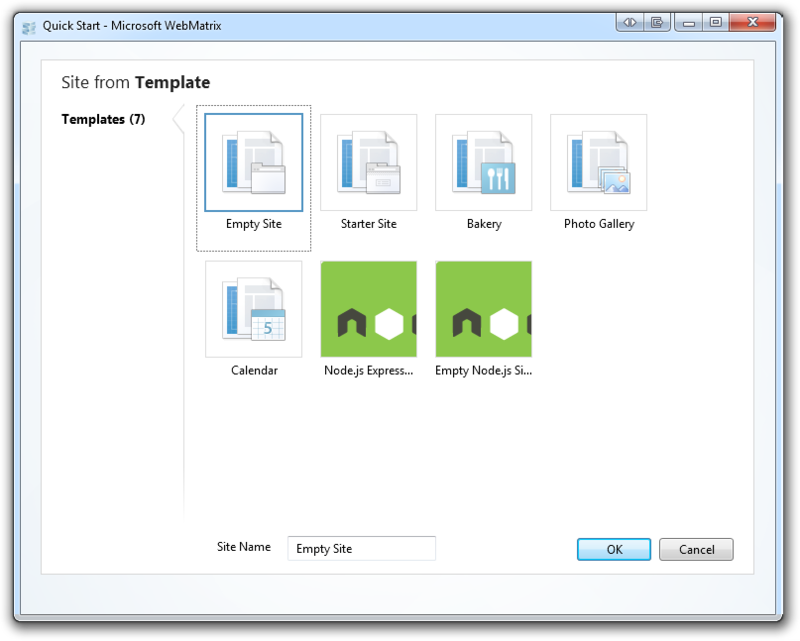 I posted just two weeks ago on Installing and Running node.js applications within IIS on Windows - Are you mad? when Tomasz and the team got node.js running rather nicely under IIS. Now they've got a nice little development environment in WebMatrix. Then, Steve and Tomasz decide to share clever thing with us. Well, let me just show you. Remember, this is all in-progress goofing around v0.5 stuff at best but the concepts are sound. Isn't it lovely when LEGO pieces snap together so nicely? The incubator effect of Webmatrix has been a result I could not foresee (at least not to this level). This node.js implementation into webmatrix looks more elegant than I want to admit. Also, keep up the frequency Scott, you are killing it lately. Of course the easiest way to install node.js and keep it up to date is via Chocolatey. You can find it at Chocolatey.org. I love Legos! Now, can Steve and his friends make me a Lego Star Wars Super Star Destroyer with Node, knockout.js, and a herring? This is post is the best thing that has ever happend to me, I have been so interested in node but did not know how to start. Perhaps the next big step in WebMatrix love ... using it as a front end to the RailsInstaller.org package? And more than just 'opening a site from folder' ... things like syntax love, acknowledgement of the local web server, open source app integration, and getting a WebMatrix workflow hug around working with a Rails app. Would love to see that happen; heck would love to be a part of making it happen. I just don't know where to start but I know the two would be awesome together. I've never seriously used WebMatrix so this might have an obvious answer, but is there any hope of using something like Chirpy or Mindtouch's Web Workbench with it? That would allow you to write your node app in Coffeescript, which makes this even more interesting. What text editor is that? So it's something called web matrix but I wish there was a Vim for Windows that looked like that. Super nice. I got my existing node.js project running in WebMatrix, but there are a few gotchas I think you should enumerate, in particular with regards to modules and ports. 1. Modules can be downloaded off of github and installed in the node_modules directory of the website. No need for NPM. 3. Modules have dependencies, which downloading off of github doesn't get you. So don't forget to also download those dependencies. Modules can have their own node_modules subdirectory. 4. 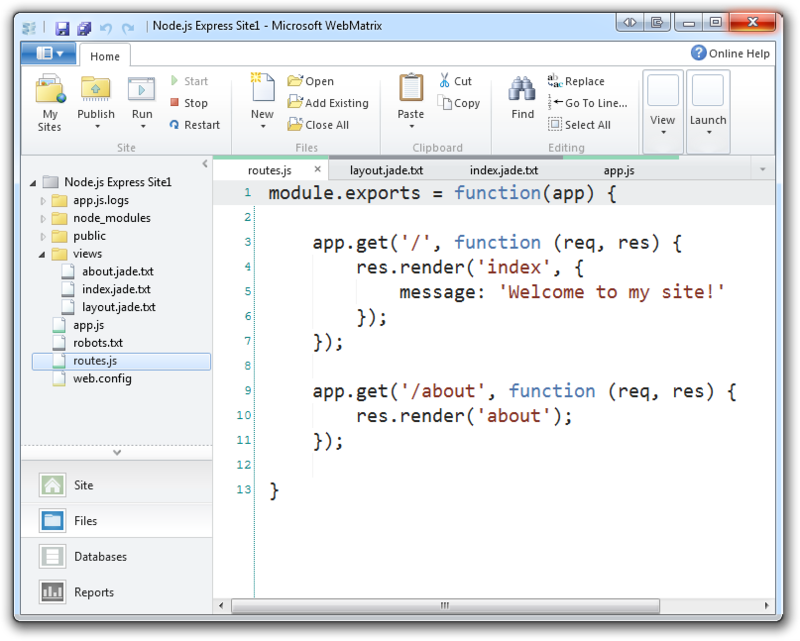 WebMatrix sets its own port in IIS Express, so your server/app should reuse that port. The Express project template was extremely helpful. While this is certainly cool, I still don't entirely get the point. WebMatrix is an average (at best) IDE and the node hooks only seem to be saving you from typing 'node myapp.js' in a terminal. I'm a VS-loving Windows dev by day (and sometimes by night) and quite like WebMatrix/WebPages/whatever the hell it's called. But IMHO the easiest way to get node running 'on Windows' is to spin up a Linux VM. npm alone is worth the effort. Hanselman is a good guy but he is also selling books relating to Microsoft technology such as ASP.NET something or other and does speaking engagements. In these Node.js writeups, this is obviously a way to distract Microsoft devs from wanting to bail and move to Linux because of the shiny new Node. Sebring - Actually, we want folks to use Windows. Doesn't matter if they use node or ASP.NET. i installed everything in the simple list, but it is unable to launch node. Looks great, but how do I debug my code? I can't see anywhere the errors node gives me...only a 500 error. 1. a debugger. with iisnode the only debugger i've managed to use with node os far (node-inspecrot) is unusable. Ethan - I hear you and both are being looked at. Of course, you do realize that most node - or even many rails devs code without an interactive IDE debugger or intellisense. Hey scott, Really awesome blog. Really cool. 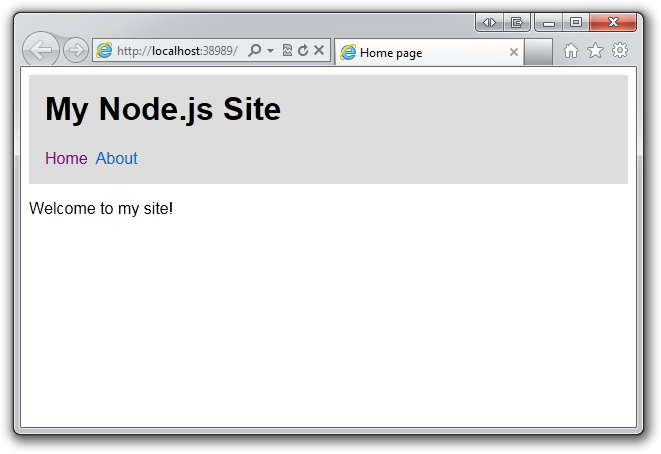 I would Like to know How to do the same for Web Host which has .net 4.0 how should I install node.js in webhost. I’d like to add that Helicon Tech also has set of WebMatrix templates, including Node.js template plus Ruby on Rails, Django, Sinatra, Goliath, Mojolicious and Perl. After that you navigate to Zoo->Packages->WebMatrix Templates and install. To run application you install Node.js form to Zoo->Packages->Node.js Hosting Package. This package includes Node.js, Helicon Zoo Module for IIS and IIS Express, rippy.py to replace NPM as it does not work on Windows yet and some other useful modules. Helicon Zoo Module (unlike iisnode module mentioned in this article) runs full featured HTTP stack, so you can utilize all asynchronous functions of Node.js, including comet (long polling). Then to publish (deploy) your web site to a Windows based hosting, this hosting should also install Node.js Hosting Package from Zoo on a remote server. Some other applications, like databases, may be also required. Any feedback is appreciated. Thank you! Ok, Hanselman, this is kind of a rebuttal / apology .NET 4.5 has some cool asynchronous methods that don't tie up threads. I'm thinking Node.js is a waste of time now at least on Windows as that was the only reason to use Node.js for me in terms of the whole idea of being able to use long polling efficiently. I am all for .NET myself and prefer that over any for web stack because of ease of use and the Microsoft IDEs rock. I still strongly think Node.js is best left in the unix/linux world as github and npm and redis and couchdb all that jazz fit well together. I'm so happy about .NET 4.5 and will be trying long polling with jQuery as I way prefer doing it in c# and sql server. Is there any way to use an older COM object from node? Wondering why I haven't see a list like this before. Thanks for taking the time to put it together. Quality suggestions here and, because of the fact that all are free (donation ware), there is no reason not to try them out.